Great information that I wanted to pass on to rebornpipes readers. One of the great attractions to pipe-smoking, however unconscious it may sometimes be, lies in the sense of finally getting to sit down and take a load off your feet after a hard day’s work. I’ve been an enthusiast of pokers, cherrywoods and other sitting shapes almost since I took up pipe-smoking some forty years ago. I suspect part of the satisfaction has to do with this anticipation that it’s time, as that old Desert Father Abba John the Dwarf used to say, to take the string off the bow, put away your tools and relax. There’s something calming about a pipe that can do the same – just sit down and take care of itself, isn’t there? 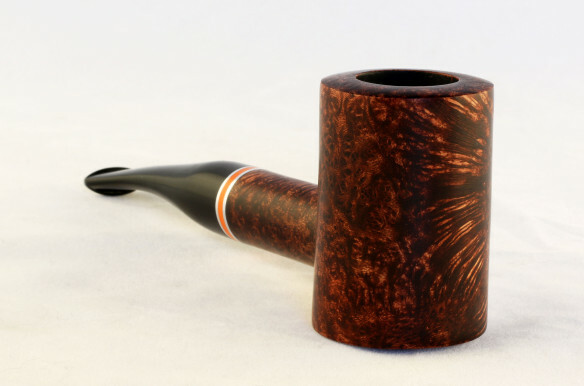 This entry was posted in Pipe Refurbishing Essays on February 19, 2016 by rebornpipes. Cool article and pics. I would love to have one like that 45 style Rustic Tankard.